Key findings from the Smarter SMSF survey. 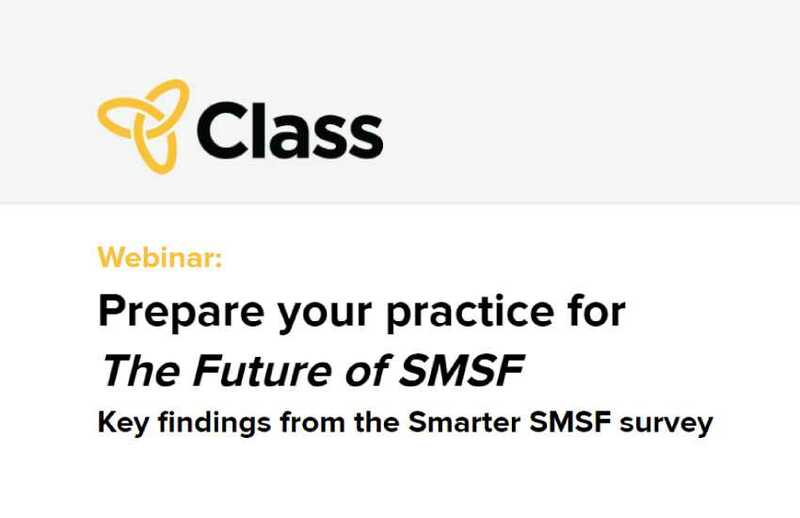 Join Aaron Dunn, Smarter SMSF and Joel Smith, Class for this 1 hour interactive webinar, and discover some of the key findings of the recent Future of SMSF survey. Close to 500 SMSF accountants participated in this survey and those results have been analysed to reveal some of the top trends and common challenges impacting the industry today - and in the future. Prepare your practice for the 'Future of SMSF' and register now.